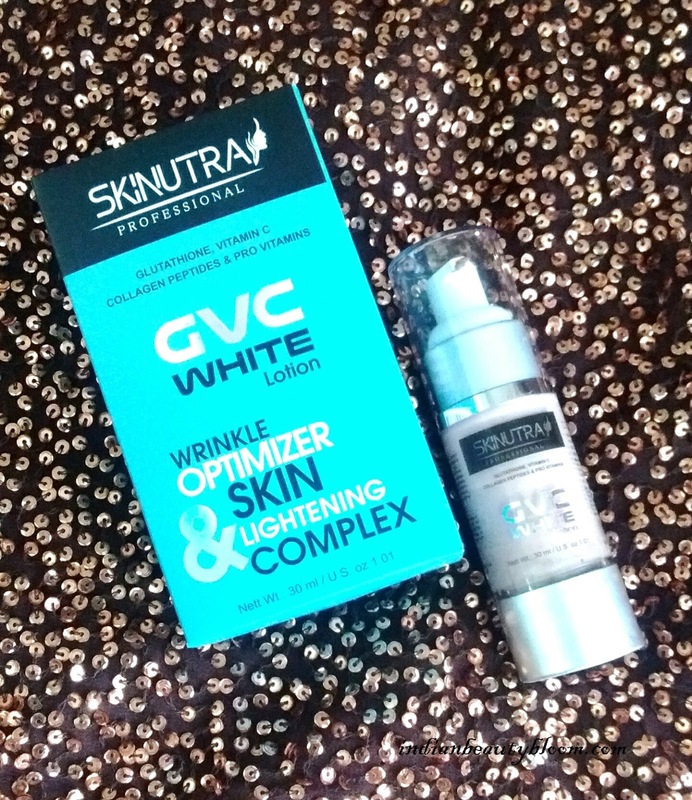 Today I am going to review Skinutra GVC White Lotion . Skinutra GVC White Lotion is a Lotion with goodness of Vitamic C , Collagen & Glutathione . 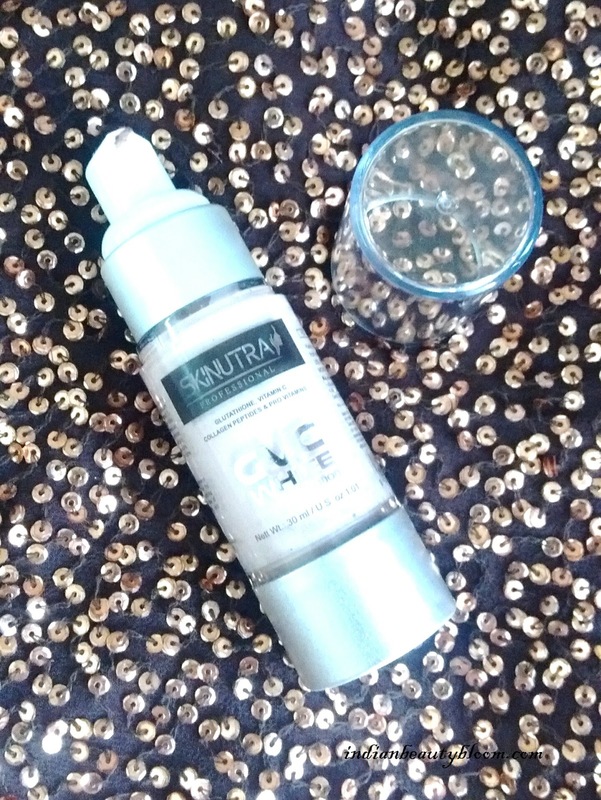 Antioxidants present in Gluththione protects the cells from free radicals responsible for melanin production and skin blemishes . 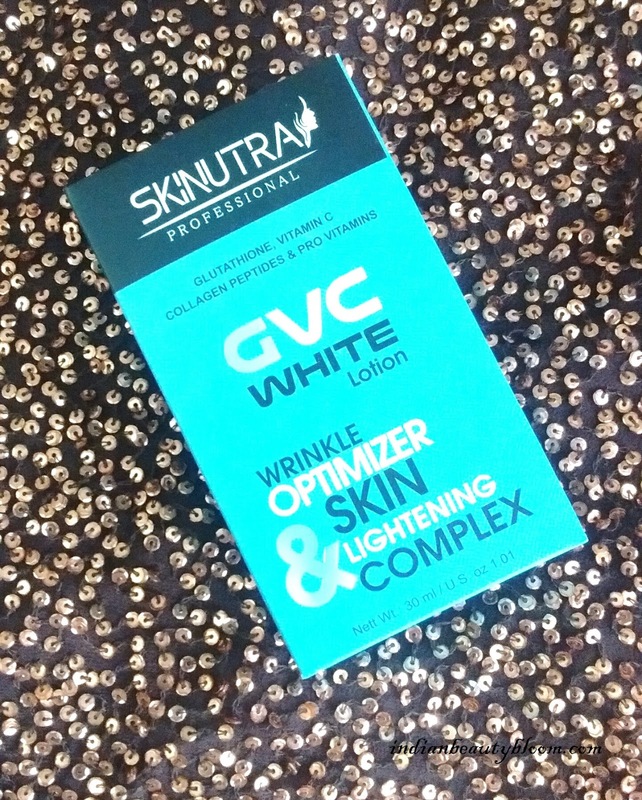 It works on skin problems like blemishes , moles , uneven skin tone and makes the skin soft & fair . Recently I ordered this from Amazon . Product packaging is good , the lotion comes in a sleek bottle with a nozzle at top from which little quantity of product can be taken out . 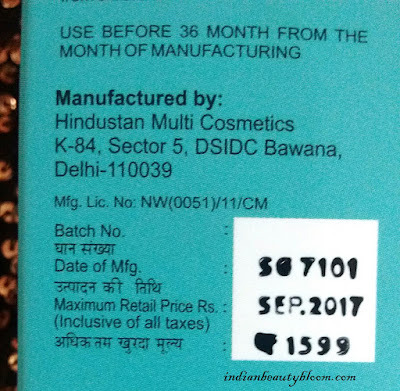 On the outer cover all product details & information is given . The lotion looks like a BB or CC Cream . It’s thick in consistency and brown in color . 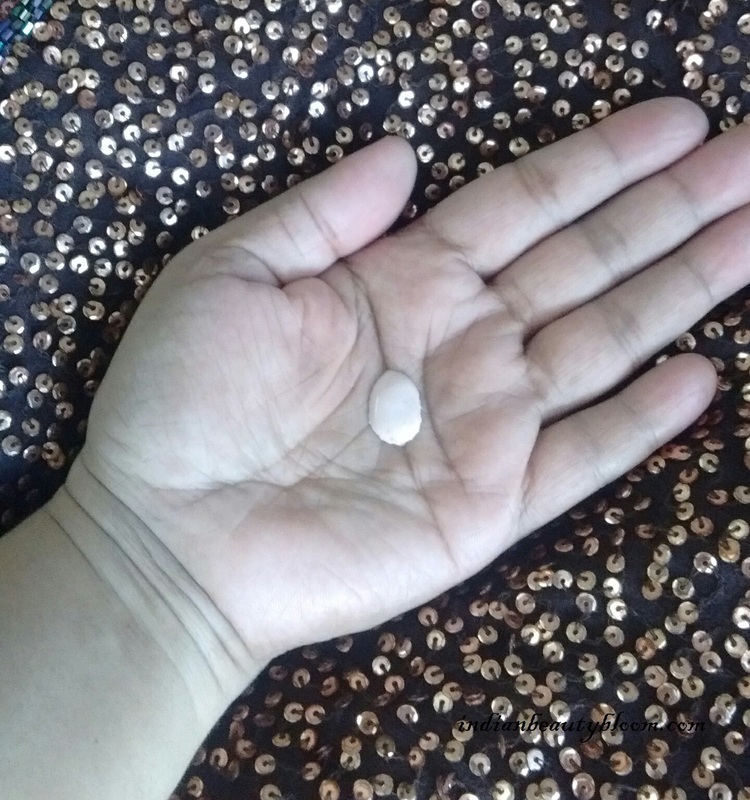 Glutathione is body’s most powerful antioxidant . It prevents cellular damage caused by free radicals & peroxides . 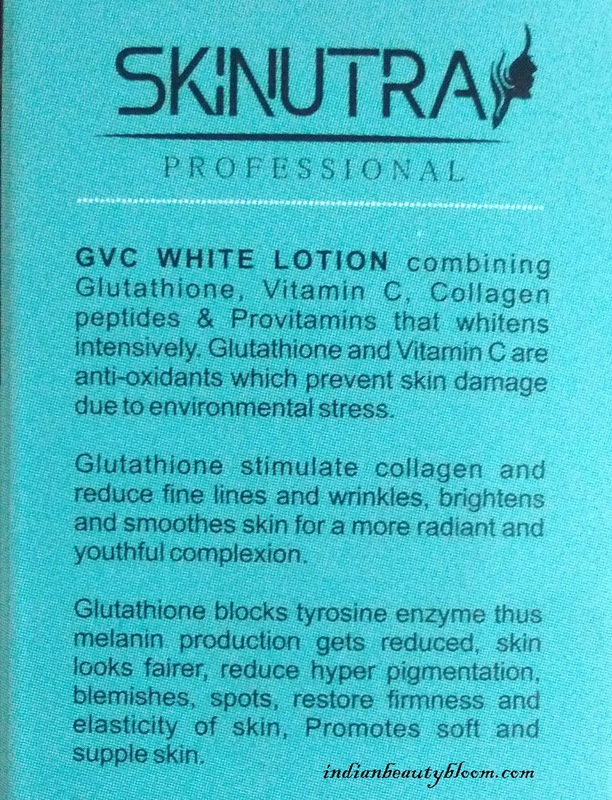 Glutathione has remarkable good effect on skin . It nourishes the skin and helps to remove blemishes , acne marks , dark spots , wrinkles etc . 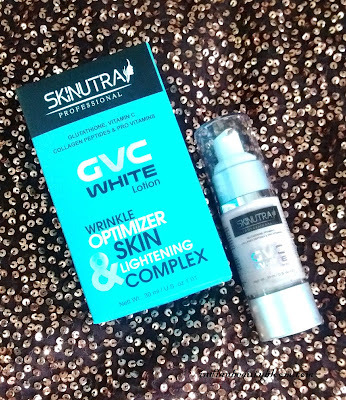 So the products having Glutathione helps to cure several skin problems and also helps to get Fair & Radiant Skin . This Skinutra GVC White Lotion has Glutathione as the main ingredient . 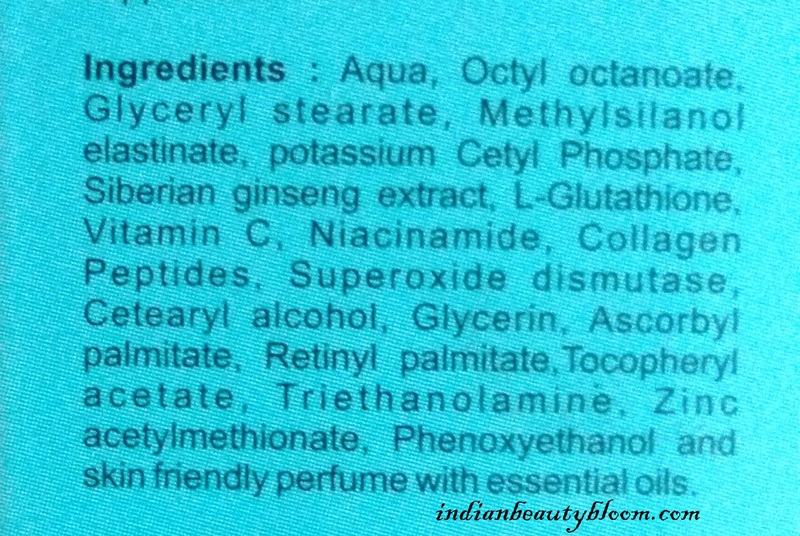 Apart from that it has Vitamin C & Collagen , both of which are excellent ingredient for skin care . 1. Excellent product which does what it claims . 2. Contains Glutathione , Vitamin C , Collagen as main ingredient . 4. Makes skin Radiant & Soft . 5. Good shelf life of 3 years . 6. Travel Friendly Pack . I am using this Lotion past one week and it’s too good . Before using it on my face , I did a patch test on my elbows since I was trying this for the first time . Then from next day I started using it on my face . It looks like a BB/CC cream , brown color with bit thick consistency . The fragrance is not very pleasing , it’s like some Medicine but goes away after some time . 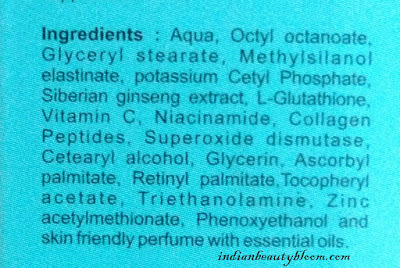 It gets absorbed in skin easily and a small quantity is sufficient to cover entire face . It’s written on the pack to use it twice or thrice a day But I am using it only once in the morning as a day cream . It moisturizes the skin well and does have a Brightening Effect . So this product is really effective . Since I have not used it for a long period of time can’t say much about the other claims But Seems Good . One can buy this product from online stores like Amazon .